Live the Waikiki lifestyle with a short commute to Waikiki Beach, top restaurants, the new International Marketplace and Kapiolani Park. This pet-friendly one bedroom condo with washer/dryer in unit is full of potential, expansive views and lots of light. First time homebuyers and investors this property is perfect for you! If you want a leasehold property, this is the building you want to buy in! The lease rent is fixed until 2058 and is only $20 a month! 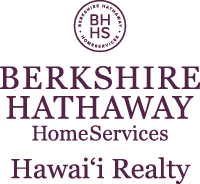 I am interested in 2415 Ala Wai Boulevard UNIT 607, Honolulu, HI 96815. Sign up for Inside AccessTM to view recent sales near 2415 Ala Wai Boulevard UNIT 607.